A new version of the native Hawaiian government reorganization bill is moving in the U.S. House, but Gov. Linda Lingle remains opposed to it—and that could doom it in the Senate. 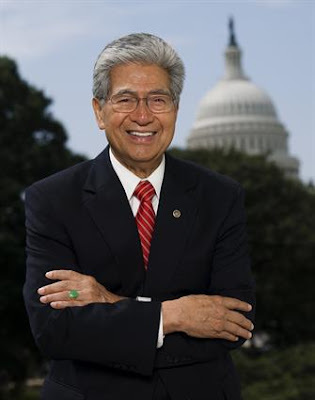 The U.S. House could vote today on a new version of the Akaka bill, after Hawai'i's congressional delegation opted to move forward without the support of Gov. Linda Lingle. United Public Workers Unit 1 has reached agreement with the four county governments on a new collective-bargaining contract that would run through June 30, 2011. Gov. Linda Lingle will return to Hawaii today to find that the heat has been turned up on the state's simmering labor problems. The Hawai‘i Council of Mayors on Monday announced that the four county governments have reached an agreement in principle with the United Public Workers for a new collective bargaining pact for this fiscal year and the next. A voting controversy has prompted lawmakers to re-start a discussion over the American flag. In delivering his sixth State of the City address, Mayor Mufi Hannemann outlined a vision for Honolulu that included his $5.5 billion rail transit project, transit-oriented development, thousands of new jobs, new construction and other initiatives to stimulate the economy. Mayor Mufi Hannemann last night promised to deliver to the City Council a balanced operating budget, but offered few details about how he intends to address an estimated $140 million shortfall. In a first for Mayor Mufi Hannemann he held his state of the city address outside and at night. It's just one sign of change to come. The Hawaiian Electric Co. announced Monday it is increasing rates for all customers. Business owners say the streets of downtown Hilo have taken a turn for the worse. A new surgery center has nearly doubled the number of operating rooms in West Hawaii, but it isn't in competition with Kona Community Hospital, officials say. A sighting of an approximately 12-foot-long tiger shark led Maui County officials to close waters off Hookipa Beach Park for about two hours on Monday. The Kapaia swinging bridge over Hanama‘ulu Stream, one of four such pedestrian suspension bridges on the island, likely outlived its practical usefulness many years ago. A bill that would keep state park revenues on the island where they are generated instead of spreading them across Hawai‘i is being touted by Kaua‘i legislators and the advisory group tasked with preserving and protecting Koke‘e State Park.